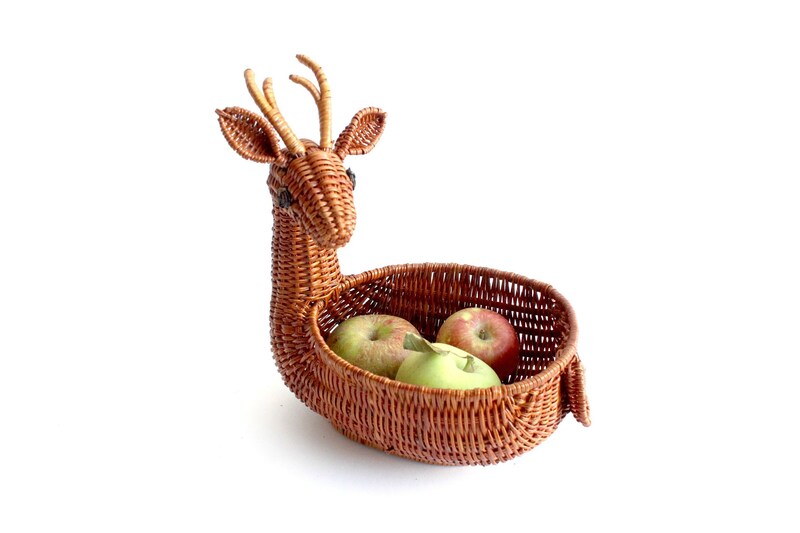 Adorable woven reindeer basket. 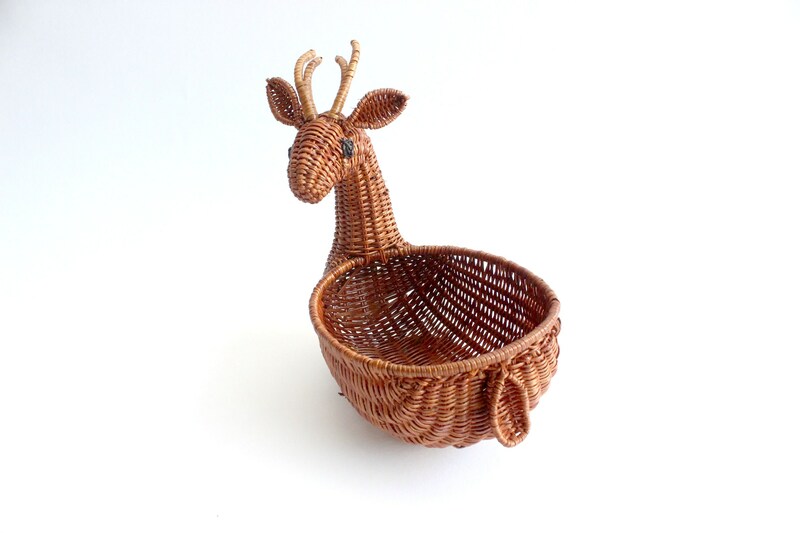 Vintage basket in the form of a reindeer. Makes cute Christmas decor! 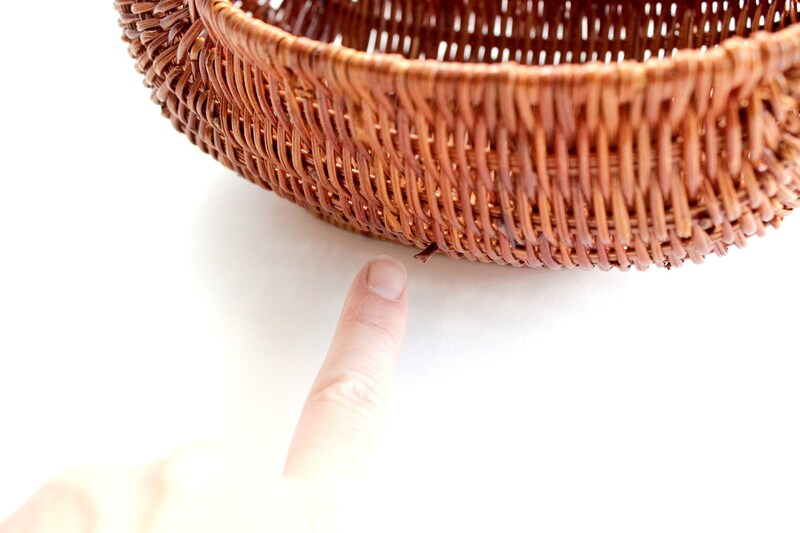 There are so many uses for this little basket. It would look great in a bathroom holding hand towels or an extra roll of TP. 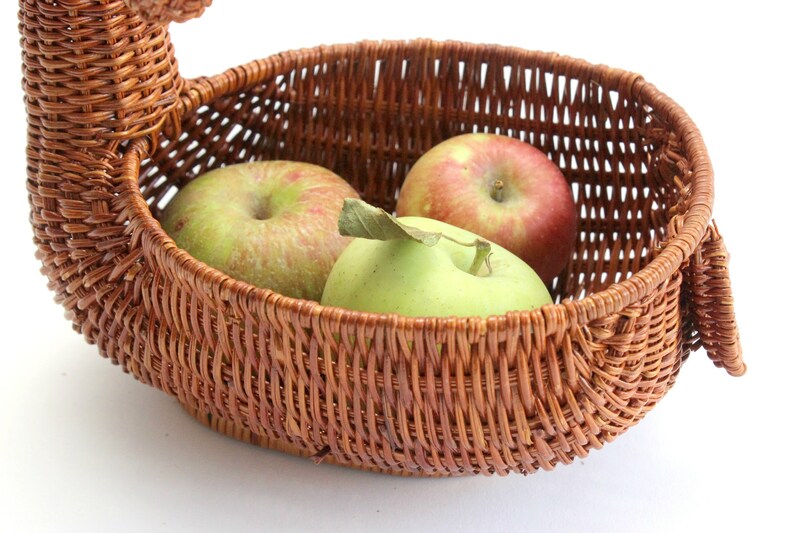 It would also make a pretty centerpiece filled with greenery or winter fruit. Good vintage/used condition. 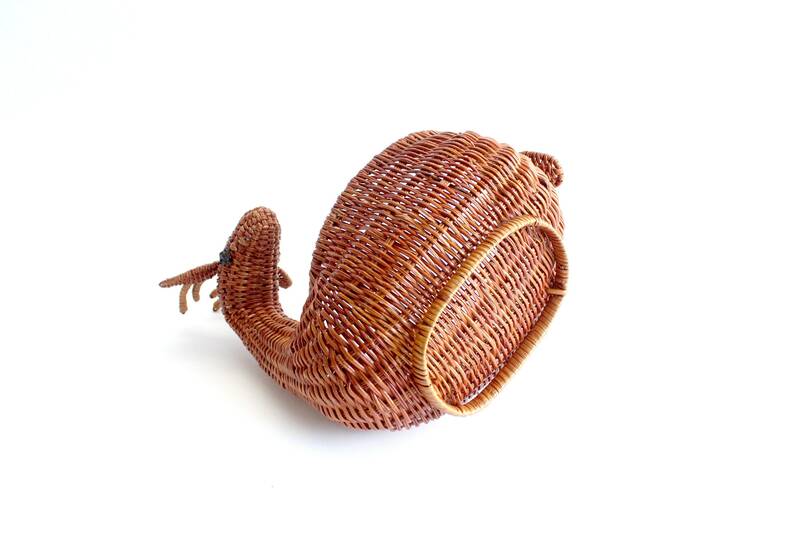 One or two broken pieces of wicker can be seen. No major damage. See photos. 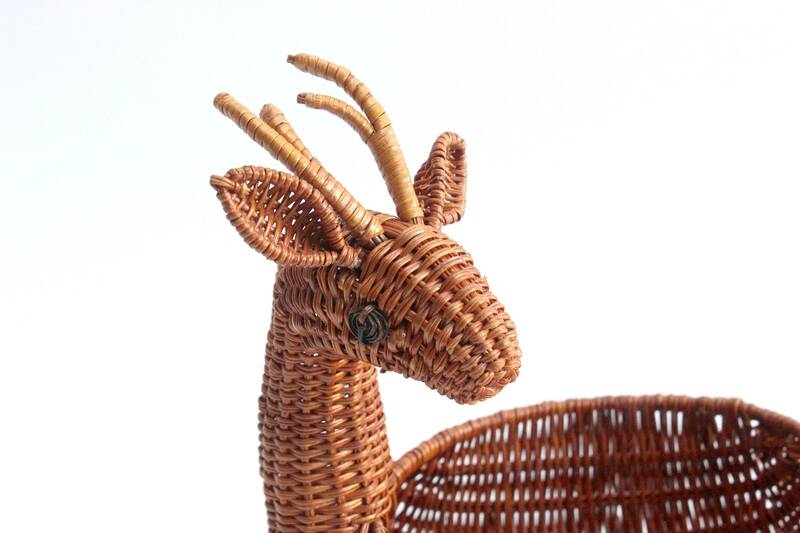 Measures 8 inches long, 5.5 inches wide and 9 inches tall.